This December, due to popular demand, I will be repeating the September online course I am wrapping up this week at CFI's online campus, teaching once again their one-month intro course The Real Origins of Christianity. Anyone can attend and receive a certificate of completion (though only students at UB receive college credit). It is all online and all flextime (you can work at any time of day or week). We received so many registration requests for the September course that we exceeded the allowed limit, and to accommodate those who couldn't get in we're repeating the course. Course description: This course examines the historical origins of the Christian religion from a secular and skeptical perspective. 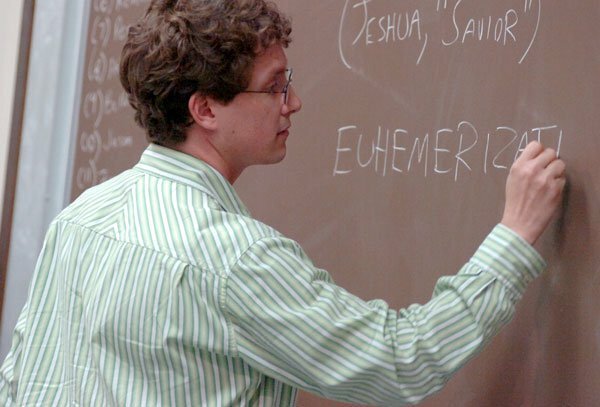 Course topics include the origins and composition of the New Testament; the sociological, cultural, and religious context and how they caused early Christian beliefs; discerning the historical, mythical and theological Jesus; and explaining early belief in his resurrection. It aims to give students a basic primer on the issue of early Christian origins and how to understand what happened without relying on dogma or the supernatural. Students will be able to interact with me on a near-daily basis in professional-quality forum discussions of lectures and reading materials (or you can just listen in, although participation is required for a completion certificate). There are required readings but no grades, tests, or papers (we assess your level of participation and comprehension from your interactions with us each week). 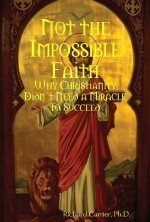 My book Not the Impossible Faith is the required course text (print, kindle, or PDF). Tuition is $60 ($50 for Friends of the Center, and only $10 for college students). To learn more, or register, visit the CFI course page: The Real Origins of Christianity (SCI 233). I will be speaking at the Center for Inquiry conference on "Science for Everyone" next month in Tallahassee, Florida, along with several other great speakers. Reception is Friday evening, 14 October (2011), 7:30-9:30pm, and the conference itself is Saturday, 15 October, from 8:30am to 5pm. Registration is $50 ($35 for students with a valid student ID), and a lunch is included. The event is at the Aloft Hotel (200 North Monroe Street) where rooms are also available at conference rates (mention "Center for Inquiry"). Others speaking are a pretty cool lot. Sir Harry Kroto, professor of chemistry and Nobel laureate. Joe Nickel, the widely beloved P.I. with a Ph.D. in folklore and a flair for magic. Dr. John Shook, once professor of philosophy and now director of education at CFI, and author of the critically acclaimed The God Debates. And the beloved founder of Skepchick, Rebecca Watson, groovy wave feminist, unruly gadfly, podcaster, and she who, in exactly thirty two years time, with an aptly thrown shoe, will kill Suri Cruise and liberate us all from her horrid transglobal dominion. My talk will be "How Do We Know Microwave Ovens Aren't Just Magic? (And Other Challenges to Scientific Certitude)." Critics of science have claimed science collapses under the strain of bizarre, insurmountable problems like underdetermination, the problem if induction, cartesian demons, or the inability to falsify "mind-over-matter constructivism" or other antirealist or supernatural points of view. 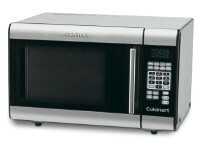 And microwave ovens prove them wrong. So do bathtubs. I'll take you on a digital romp to see why. Q&A will follow and of course I'll be selling and signing some of my books throughout the event. See the CFI Calendar Page for details, and to register online. As a veteran I was asked to join the Military Association of Atheists and Freethinkers and I agreed wholeheartedly. This is an excellent outfit that anyone who is a nonbeliever and a veteran or in service should join, so the MAAF can have numbers to cite and a network of resources and eyes-on-the-ground to tap. They represent you, and your fellow godless servicemen and women, and with an increasingly evangelized military, they need your support. You can explore their website for more on why, and what they are doing, and how you can help. Dates of service: September 1990 to August 1992. 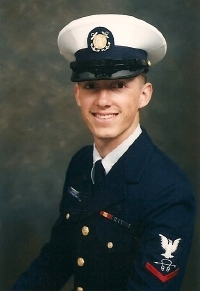 Decorations: (1) National Defense Service Medal, (2) USCG Marksman’s Ribbon. Honors: Navy Letter of Commendation, Honorman Certificate for Scholastic Achievement and Proven Leadership, Duty Gunner’s Mate Certification, Flight Deck Fire Fighter Certification, Division Damage Control Petty Officer Certification, LAMPS Aviation Ordnance Team Qualification. 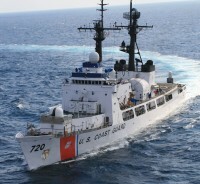 Tours of duty, with dates: Training Center Cape May (New Jersey), Security Clearances Division (1990); Fleet Antisubmarine Warfare Training Center Pacific (FLEASWTRACENPAC) San Diego (California) (1990-2991); USCGC Sherman (WHEC 720) Pacific Northwest Patrol (1991-1992). Specialty: Sonar (operation, maintenance, and repair of all sonar and torpedo systems); Duty Gunner's Mate; Flight Deck Firefighter. "Please also provide other comments relating to hazardous duty, what you believe about prayer in combat, and any experiences you have had relating to religious tolerance/discrimination in the military..."